Swedish label Sandqvist has been founded in 2004 by Anton Sandqvist. Ever since the brand focuses on stylish, modern and long-lasting bags which are produced in an environmentally friendly and sustainable way. Their latest series Fusion has been specially developed to combine work and workout. The bags are designed to be taken to work while integrating functional aspects for your sports activities afterwards. The collection includes a tote bag, sports bag, two-way backpack, toilet bag and a yoga mat. All bags are produced of 100% recycled nylon fabric. 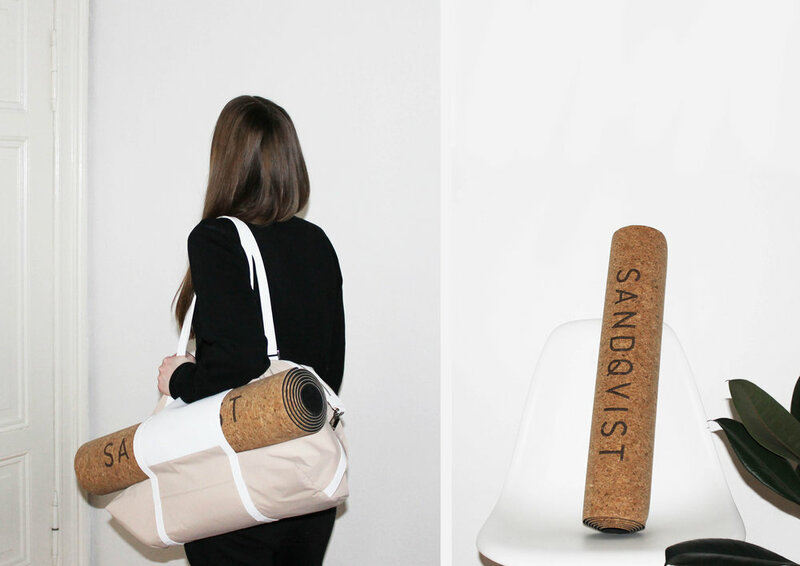 The yoga mat is made with a 100% eco-friendly cork surface and a natural TPE base. From now on the shoulder bag will accompany me both to work and workout. Large shoulder bag HELLEN in powder with a slip pocket for your yoga mat. The inside features a removable dry bag and a 15'' laptop pocket. Available here. – in cooperation with Sandqvist.